I hear this alot when discussing bees in trees. First off, I’m just one person in Pennsylvania, and I monitor several tree colonies that have existed longer than that. But for the sake of argument, let’s play my favorite debating game. I call it “Let’s Assume You’re Right!” So, I stumbled upon a tree colony, usually because a swarm is hanging next to it in April. Because of this, I know it overwintered at least once. I return two or three more times to collect swarms from the same colony. Did I get every swarm issued from this tree? Probably not. Next year, same exact situation. They overwintered, and now are spitting swarms out again. Some find homes in other trees, some get collected by beekeepers. But now, the third year comes along and Let’s Assume You’re Right! No activity. No swarms. Is it a sad day? No. They could have had a queen failure. They could have absconded because of old, black comb. Mice could have gotten in and peed all over everything. Many things could have happened, including mites or beetles. So, wax moths move in and absolutely clean the cavity out. Next thing you know, bees are in there again to start the whole thing over. So, back to the assertion. Did the colony survive more than 2 or 3 years? I would say that the cavity may have only inhabited bees for two or three years, but the colony itself reproduced a minimum of six times, and those colonies are out there (or in my yard) getting their chance to do the same. Right you are! Nature ebbs and flows. Man and his shenigans are tinkerers in this game. A friend of mine has successfully been capturing swarms in swarm traps set out next to a National Park with old growth (as in tree size records). He is capturing some (I have one) and we’ve got a plan. In the meantime we’re tinkerers…with a plan. One has to do something and the bees offer endless entertainment and education. I was fortunate enough to hear Thomas Seeley at the EAS conference this year in Delaware. He spoke on the topic everyone wanted to hear about: Darwinian Beekeeping. Small cavities, spaced some distance from each other, more frequent swarms, less intrusion = greater survivability. He has a recent book out by the same name. But, my point is you’re right; left alone the bees find a way to accomplish their only goal – reproduction. Your comment is better than my whole post. Thank you. Your posts are an inspiration. Just saying you’re on to something both from a methods standpoint as well as an acceptance of that ebb and flow. I thank you. I trap around a colony in an old abandoned building that has had bees in it for a very long time. Some old timers around here have said upwards of 20 years or more. I’m sure they have went through several genetic cycles but it’s neat to have a cereal colony that has maintained itself for the most part for a very long time. I just got my own “tree hive”, so we’ll see what really happens. 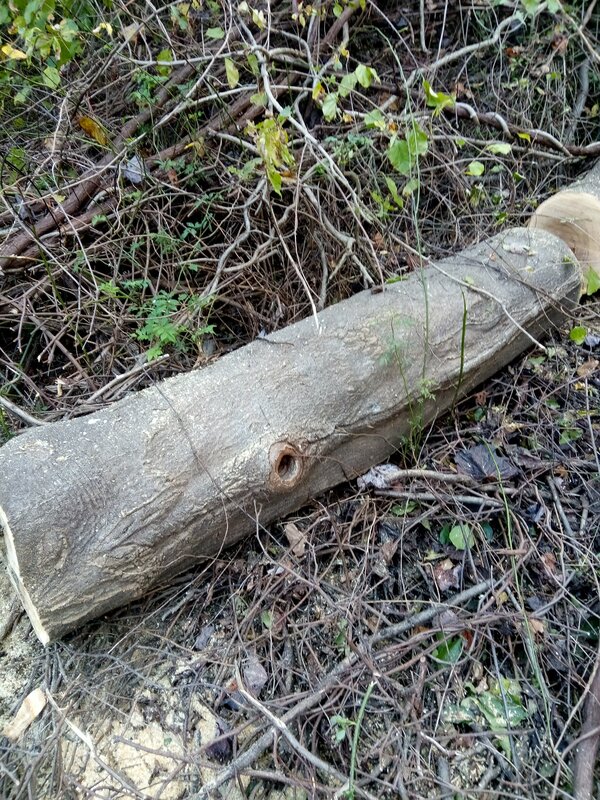 Next Next post: My very own log “hive”.